Mr. Flynn is the Practice Team Leader for the firm’s Energy, Environment, and Nanotechnology Practice Teams. Mr. Flynn’s practice is concentrated in the areas of environmental law and energy. With respect to environmental law, Mr. Flynn concentrates on regulatory compliance consultations and brownfield redevelopment. He has written extensively on environmental topics including environmental issues related to nanotechnology development. He was involved in the first successful conversion of a former industrial brownfield into a modern manufacturing facility in New York State. 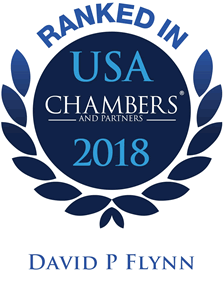 In addition, Mr. Flynn advises clients on business development issues and the regulation of energy before state and federal authorities. 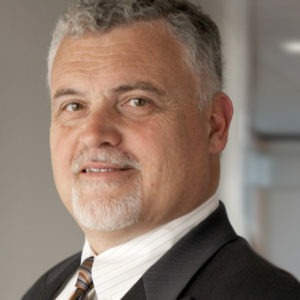 He also advises clients on the development and siting of renewable energy, merchant power generating facilities, licensing of hydropower projects, and drafting and negotiating Payment in Lieu of Taxes (PILOT) agreements associated with solar and wind projects and related advice regarding the New York Real Property Tax Law 487 tax exemption. Energy – Counsel clients on applicability of NYSERDA and Department of Energy funding programs and tax-based incentives to renewable energy and energy efficiency projects and project development work related to such projects. Counsel clients on integrating sustainability and energy conservation measures into residential, commercial and industrial projects. Publication of articles on the legal issues related to carbon sequestration projects. New Jersey Environmental Regulations – Counsel clients on potential liabilities associated with New Jersey’s Industrial Site Recovery Act and Site Remediation Reform Act. Occupational Safety and Health Administration Defense – Assist clients in preparing defenses and negotiating settlements to OSHA citations.